Locally owned and operated, McMahon Paper & Packaging has been providing local distribution and consultation to the packaging and food service industry since 1953. The paper and packaging experts! Our huge inventory ensures that we have what you need AND when you need it. Call us today and let a McMahon expert assist your company with all your needs! Storopack is in the field of packaging solutions specialist in the “interior cushioning” market and covers the customized integration of complete packing lines for flowable cushioning materials (loose fill), air cushions (AIRplus®), paper padding (PAPERplus®), and foam packaging systems (FOAMplus®). At McMahon's, we service the Paper & Packaging needs of clients in Northeast Indiana with speed and reliability. Lets face it, when it comes to business, experience matters. We've been serving Greater Fort Wayne for almost 60 years delivering on our promise of offering products and services second to none. You don't make it 60 years without having the best team available. Each and every employee at McMahon understands that it is our goal to make your experience exceptional. 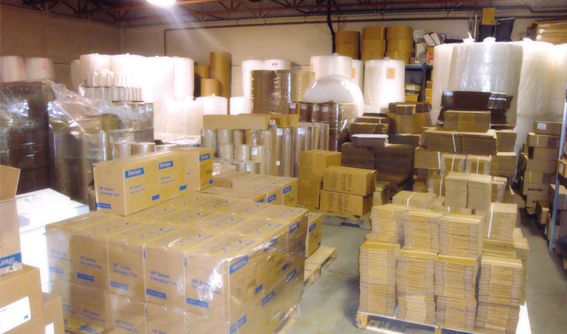 At McMahon, we stock thousands of products ready to be shipped within a moments notice. On top of that, less common items can be ordered and delivered to your door in a matter of days. Our customers know that the McMahon difference is the amount of attention we pay to getting it right. Each customer and every order is treated with care and provided the best service possible.